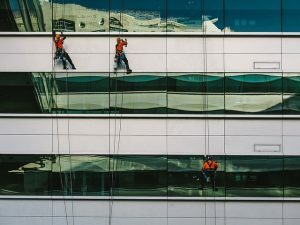 As a contractor, you have many responsibilities that must be taken seriously or else your risk losing reputation, clients or even the entire business. One such issue is the proper insuring of your liabilities and employees, as well as the results of your work. Whether you do residential or commercial work, all contractors need some level of commercial insurance. Read on for a rundown of what types of policies impact contractors and how they can best invest their insurance budgets. Bodily injury, property damage, personal harm – these are the three main columns of most typical commercial general liability policies. Not only are they essential to the safe operation of a business, they also are usually required by law if you are performing any kind of contractor work for payment. These rules are put in place to prevent the general public from suffering needlessly due to contractor oversight or human error. If you plan on working as a contractor, review commercial general liability rules very carefully. Many contractors operate at least one vehicle, if not a whole fleet. This means you may be paying for one or more insurance premiums to appropriately cover the liability. Don’t rely on personal vehicle insurance, as it may leave you financially responsible due to usage that could even void your policy. Commercial auto insurance not only provides better coverage, it could be more affordable than individual policies for multiple vehicles. Contractors stake their claim on the products of their labour – the physical objects we all build our lives and businesses in and around. Therefore it is all the more vital to invest in insurance for any errors or omissions. Employee health and safety is also essential to contractors, but accidents do happen. Certain commercial insurance policies can be outfitted to protect against all of these issues and more. If you are a contractor and have any questions or concerns about commercial insurance, contact or visit an ARC representative today!